A number of scientific studies have linked pre-menstrual tension – PMT (also called Pre-menstrual Syndrome) – with magnesium deficiency in the woman’s body. Premenstrual syndrome (PMS) is experienced as a group of physical and emotional symptoms which some women experience 1-2 weeks before their menstrual period. Normally, these symptoms subside when the period starts and within a couple of days of menstrual flow. Statistics indicate that PMS affects over 80% of women of the reproductive age at some point in their lives, and about 40% of women experience symptoms bad enough to affect their daily life. The symptoms may include, but are not limited to, cramps, dizziness, tender breasts, water retention & swelling of the body, abdominal bloating, food cravings, especially for chocolate, nausea, vomiting, stomach upsets, appetite changes, insomnia, general discomfort, anger, irritability, crying seemingly for no reason, aches and pains all over the body, fatigue, lowered immunity, and a number of other symptoms. The complexities of the reproductive cycle mean that the body mobilises itself for possible fertilisation and pregnancy. This preparation leads to a number of hormones being produced in large quantities, and released into the body, leading to physiological and psychological changes in all the body systems. Magnesium plays a very important role not only in the production of hormones but as an integral part of ATP – the energy molecule of every cell. Premenstrual activity in the woman’s body requires a lot of magnesium. If it is in short supply, then certain processes are slowed down, and general physical and psychological tension, fatigue, cramps, aches, pain, lack of energy follow as just some of the numerous symptoms of what we call Premenstrual Tension. The studies mentioned above were using oral magnesium supplementation to draw positive conclusions about the role of magnesium in reducing the symptoms of PMS. However, oral magnesium supplementation has its limitations. Not everyone can absorb it via the digestive tract, and even those who can absorb only a relatively small percentage of what has been ingested. Much of oral magnesium passes through the body unabsorbed. The chances increase when chelated magnesium is taken instead of cheaper forms of it. Magnesium citrate, magnesium orotate are some of the chelated forms of good quality magnesium supplement. They will also be milder on the stomach since unlike magnesium oxide, they do not take hydrochloric acid out of the body, so do not upset digestion. 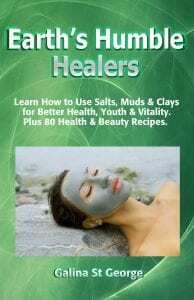 To increase magnesium absorption into the body, I suggest using magnesium chloride transdermally – in the form of magnesium oil to spray the body daily, or to massage it directly into the skin. The oil can be strong and irritating for some, being a concentrated salt solution, so can be mixed with water as desired, to soften its action. You will still get sufficient magnesium from it to benefit from transdermal supplementation. 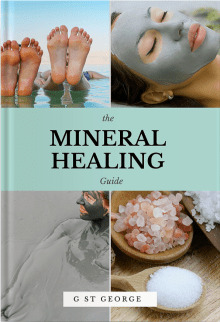 Another way is to soak in magnesium baths, preferably daily, using either magnesium chloride flake or Epsom salt. 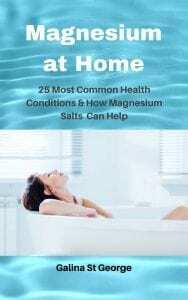 Although Epsom salt is cheaper to buy, magnesium chloride is a better option, since it has a simpler molecular structure, and gets straight to where it is needed. Dr Mark Sircus recommends magnesium sulphate for transdermal magnesium supplementation in most cases, except for some specific conditions. 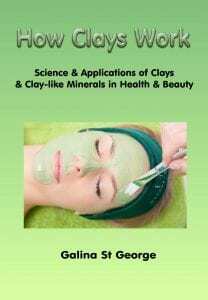 You would need between 500g-1kg of magnesium chloride per bath. Various research results have shown that transdermal supplementation replenishes magnesium in the body much faster than oral supplementation. Of course, intravenous injections would be even faster, but for a majority of people, they are not necessary. I suggest using magnesium transdermally on a daily basis for 2 weeks at the start of the treatment, and once every 2-3 days afterwards, or as required. Other natural remedies include vitamin B complex, Vitex Agnus Castus (Chaste Berry) – to regulate hormones, Evening primrose oil, and calcium. Exercise, sufficient sleep and healthy nutrition are also advised.